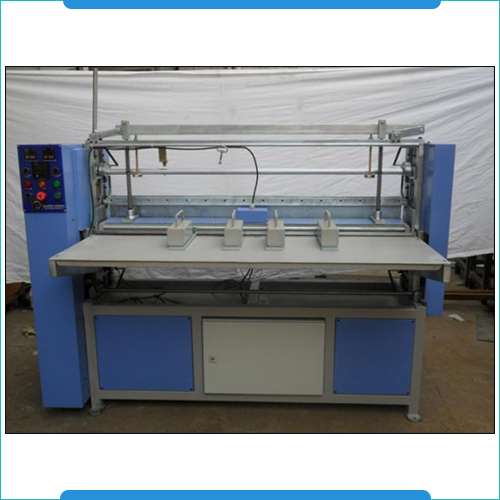 The Knife Pleating Machines are developed using quality components and find application in automotive industries. These can be delivered in maximum paper pleated width choice of 1000mm with variable pleat depths from 05mm-50mm and can be operated at variable speeds up to 125pleats/min. Some of the other operational options of these machines include paper roll unwinding stand and paper roll braking unit, pneumatically operated online toothed slitting cutters, pre and post heating platform heaters of up to 2.0 Kwatts, hardened cam for operational life, geared motor unit for changing of pleat depth and PLC the controlled operations that bring in stability and accuracy in their specific industrial usage. Maximum width of paper that can be pleated 1000mm. max. Operating speed Upto 125pleats/min (Variable). Hardened cam for longer life of operation (Four cam design operation). Geared motor unit for changing of pleat depth. Pleat depth can be programmed through HMI. Pneumatic cylinder based Pleat pressing unit fitted with regulator. The Marking Machines can mark in different pleat sizes with the option of setting the marking distance by operating on computer screen and the marking distance is accurately achieved by stepping motor. 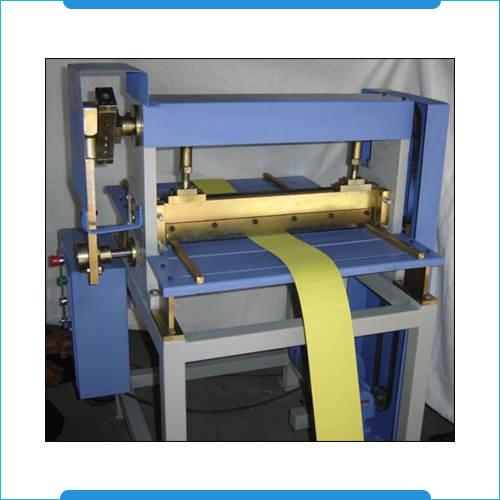 These machines can efficiently handle paper widths from 610mm to 1000 mm, with minimum pleat depth of 10mm and maximum pleat depth of 70 mm. and also have in them the facility to adjust the pleat depth and the marking impression. With operating power requirements of 3Ph, 50 hz, 440 V, 1k watts, these marking machines also come with option of crank to operate the marking blade. Maximum width of paper 610mm, 1000 mm. Maximum pleat depth 70 mm. Minimum pleat depth 10 mm. Facility to adjust the pleat depth. Crank to operate the marking blade. Facility to adjust the marking impression. Power: 3Ph, 50 hz, 440 V, 1k watts.